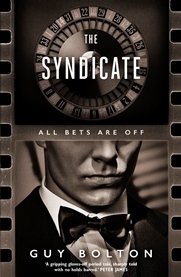 My new thriller The Syndicate begins in June 1947. Detective Jonathan Craine has left his old life in Hollywood behind him, content to live out his days on a farm in rural California with his teenage son. But after mobsters turn up uninvited, Craine is summoned to Las Vegas to meet mob head Meyer Lansky. Craine finds himself given the impossible task of solving the murder of Bugsy Siegel, infamous Hollywood gangster and the man who invented Las Vegas. He has five days to solve the crime. And if he fails, both he and his son will be killed. Of course what follows is entirely fictional. But the case itself was real. 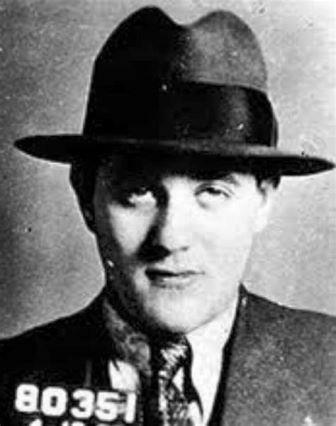 Bugsy Siegel was a celebrity mob figure popularly known as the man who created Las Vegas. The subject of countless books, TV dramas and documentaries, the story of Siegel’s colourful life was also the basis for the Oscar-winning film Bugsy, starring Warren Beatty. Siegel’s idea to turn Vegas into a gambling mecca was laughed at at the time. Friends thought he was crazy. The fact that in only seventy years Vegas has gone from a small dirt town to a major entertainment capital is quite something in itself. And Siegel – and the mob – was the catalyst that made it happen. Bugsy Siegel was assassinated at his home in Beverly Hills in June 1947, a few months after the opening of The Flamingo Hotel. The murder was labelled a mob hit but after weeks of investigating, the LAPD and FBI found no tangible evidence or leads as to the identity of the shooter. The murder remains unsolved. 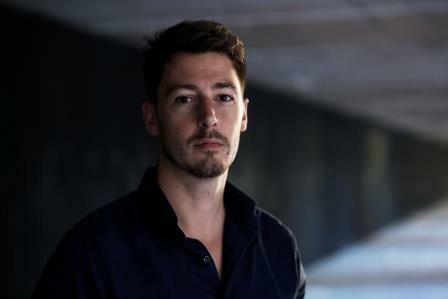 Although Jonathan Craine is a fictional protagonist, many of the characters that feature in the novel are based on, or inspired by, real people involved in the case. But even though The Syndicate follows the noir tradition, I really wanted to feature a strong female character that wasn’t a foil or femme fatale. I wanted Craine to have a female peer who is as intelligent and driven as he is, without her becoming a mere love interest. This proved difficult in a 1940s setting: there weren’t female detectives or police officers at the time. There weren’t many senior positions filled by women in the mob or the Hollywood motion picture industry either. So where could I find inspiration for my female character? The answer came in the form of two journalists, Florabel Muir and Agness Underwood, intrepid crime reporters whose stories are worthy of their own books, films or TV series. Battling sexism and unequal pay, they were key players in two of the biggest stories of 1947: the Black Dahlia murder and Bugsy Siegel’s assassination. In the summer of ’47, the investigation into Bugsy Siegel’s death became a national conversation, dominating headlines for many months after his death. So it seemed natural to me to feature a fictional newspaper as part of the narrative. In fact, the 1930s and 1940s was a period where press magnates had huge control over public thinking. And they in turn were often swayed by important figures in patriarchal society. Studio heads like Louis Mayer were even more protected than producers like Harvey Weinstein. 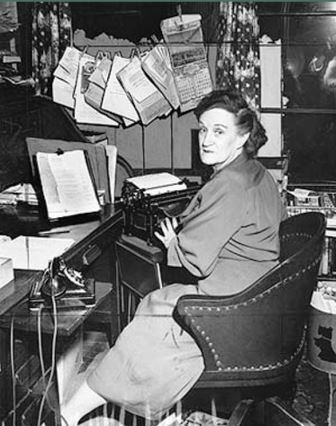 Both Florabel Muir and Agness Underwood were anomalies in the male-dominated world of newspapers. Women were mostly restricted to covering the society pages, so both became hidden figures whose contributions to crime reporting were considerable. Florabel Muir became known for her mix of covering Hollywood celebrities and underworld mobsters. 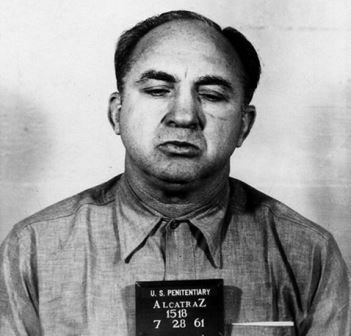 She was particularly close to mob head Mickey Cohen, and was wounded in an assassination attempt on Cohen on the Sunset Strip in 1949. It didn’t stop her from grabbing an exclusive. Like Muir, Agness Underwood was undeterred by the gorier elements of crime reporting and had a knack for finding clues and details that other reporters missed. She was also heavily involved in the “Black Dahlia” case, one of the first major crimes in post-World War II America to capture national attention. Elizabeth Short’s corpse was discovered on January 15th 1947. Her body was severely mutilated, severed at the waist with her face slashed from ear to ear in what is morbidly known as the “Glasgow smile”. Underwood was among the first to arrive at the scene and was heavily involved in the case. She was even reported to have come up with the moniker “Black Dahlia” herself. 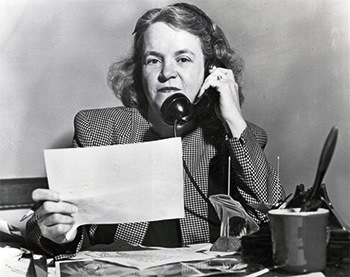 She was pulled from reporting on the Black Dahlia case twice but in an odd twist of fate, the second time was to promote her to City Editor of the Herald-Express. In doing so she became one of the first women in the United States to hold a city editorship on a major metropolitan daily. My character Tilda Conroy is an amalgamation of these two unique women. Last year, two female New York Times reporters Jodi Kantor and Megan Twohey broke the Weinstein story. I like to think that Agness Underwood and Florabel Muir helped pave the way.